The world has a passion for sports. They entertain, excite, and unite us. They also hold a major-league position in the global economy: According to the annual PricewaterhouseCoopers Sports Outlook, the sports industry in North America is on track to eclipse $80 billion by 2022. And the modern sports industry needs experts to help guide ticket sales, drive sponsorship deals, build awareness for brand-name apparel and merchandise, and discover efficiencies in data to help organizations get a competitive edge. It’s an exciting time to build a future in the business of sports management. And that’s exactly what Maryville’s Rawlings Sport Business Management program can help you do. We named our program for our core partner, Rawlings Sporting Goods, to reflect a strong academic and professional partnership that is the only one of its kind in the world. Thanks to the support, influence, industry knowledge, and resources of a globally recognized and respected brand like Rawlings, we built our program to address the most pressing challenges in the field — and anticipate future needs. Earn your bachelor’s in sport business management with us, and you can choose from two in-demand concentrations: Results-Centered Sales and Sport Data Analytics. Develop proven skills and techniques through experiential, market-relevant coursework backed by leaders in the sports management industry, and you can maximize your marketability and put your passion for sports to work. We can help you do it. Let’s be brave together. Sports as a business is booming, and the industry’s growth goes far beyond the field of play. It’s a complex system that spans owners, athletes, agencies, broadcasters, sponsors, apparel companies, sporting goods providers, and fans. It’s evolving alongside communications and technology — and today’s sports business is supported by modern best practices in sales and data. That’s why our online bachelor’s in sport business management gives you the opportunity to pursue a concentration in Results-Centered Sales or Sport Data Analytics. We designed our program with input from industry leaders and pioneers like Rawlings and Game Face, so you can learn the proven techniques to excel in the field. Prepare for tomorrow’s challenges and opportunities with confidence as you position yourself to become a leader in the future of sport business. At Maryville, you stand to earn a highly respected degree from a private, four-year institution that’s ranked as one of America’s best colleges by U.S. News & World Report and Forbes. More importantly, we designed our online sport business management program to work around your schedule so you can change your life — without disrupting it. Flexible, affordable, and highly personalized. Study on your schedule. Access 100% online coursework with no campus visits required. Benefit from streamlined admissions. Apply with no application fee or entrance exams, and choose from three start dates. Get the support you need. Apply to be considered for financial aid and get transfer credits for eligible courses. Professional and practical. Gain real-world experience through professional internships and complete coursework built in partnership with Rawlings and Game Face. Learn from industry leaders. Discuss your goals with our dedicated faculty, who help you connect the curriculum to your career vision. bachelor’s in sport business management? Graduate with your bachelor’s in sport business management from Maryville University, and you’ll have a credential that can open new doors and position you for a wide variety of sports-based business careers. Build the skills to pursue careers in exciting areas like sports marketing analysis, sports data analysis, sales, account management, and brand coordination. All you have to do is set the goal. We’ll help you reach it. B.S. in Sport Business Management? When you earn your Bachelor of Science in Sport Business Management online at Maryville, you can tailor your studies by selecting from two concentrations: Results-Centered Sales and Sport Data Analytics. When you have specialized knowledge of an innovative subject, you can stand out in the field. Data analytics is integral in operations for modern collegiate and professional sports franchises, as well as community and corporate organizations. With your Sport Data Analytics concentration, you can help fill a growing need in the sports business. It’s a career path with incredible potential — and this is your chance to succeed. *Median salaries based on self-reported data compiled by PayScale.com. **Median salary and growth data based on data compiled by the U.S. Bureau of Labor Statistics. Why choose Maryville University’s online sport business management degree? Maryville’s Rawlings Sport Business Management program connects you directly with established leaders and experts in the sports management industry. We partner with some of the best in the business — like Rawlings and Game Face — to deliver industry-relevant coursework in results-centered sales and data analytics. Go beyond the books. Learn by doing. We’re here to help you evolve as a professional in today’s sports industry. It’s the reason we put the focus on real-world application. Throughout the program, we’ll connect you to the industry through relevant coursework and opportunities to gain firsthand experience. You’ll also have the chance to apply your skills through immersive capstone projects and an internship. Put our reputation to work. Maryville University has been empowering brave students like you since 1872. We’re proud of our reputation for quality academics and affordability, because it demonstrates our commitment to excellence and accessibility. We work hard with leaders in the industry to make sure our Rawlings Sport Business Management program meets the same high standards we’ve held ourselves to for nearly 150 years. Choose Maryville and learn the proven, field-tested sales and analytics techniques to maximize your educational experience and help you excel in this exciting field. At Maryville, you learn from the pros. When you earn your online bachelor’s in sport business management from Maryville, you learn from experienced professionals and award-winning educators such as Jason Williams. Professor Williams knows what it takes to help an organization excel in the big business of sports, because he’s been there. Before joining Maryville’s team in 2008, he spent more than 10 years in the business of sports, where he held a variety of positions in administration, budgeting, compliance, public relations, marketing, and ticket sales. He was instrumental in establishing — and currently maintains — Maryville’s flagship partnership with Rawlings Sporting Goods Company. He also helped build and support beneficial relationships with organizations like Game Face, the St. Louis Cardinals, the St. Louis Blues, the Missouri Valley Conference, the Coca-Cola Company, and the PGA. Learn from his experience — and build your own. 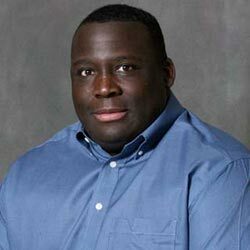 Professor Williams takes an experiential approach to teaching at Maryville. He believes that success begins by challenging students with theory, but that the most important aspect of education is professional application. In 2015, Professor Williams was honored regionally with an Accreditation Council for Business Schools and Programs (ACBSP) Teaching Excellence Award. When you study at Maryville, you can benefit from his experience and the extensive network of industry professionals who have informed the program. With our industry professionals, you can work to build your theoretical and practical knowledge, apply it in a professional internship, and then explore careers at every level of sport. We built our online bachelor’s in sport business management program in partnership with the industry experts at Rawlings. We also partnered with Rob Cornilles, one of the nation’s leading voices in sports sales and marketing, to deliver coursework based on his renowned Game Face sales training. Build your foundation for sports management. Develop leadership skills and build your foundational sports management knowledge through coursework in sports finance, sport marketing, sport business management, legal aspects of sports management, and Rawlings’ advanced application of sport business. Develop your business acumen with business core courses. Strengthen your business skills as you complete courses in digital foundations, business communications, economics, business law, and operations management. Tailor your experience and stand out with a chosen concentration. Choose from tracks in Results-Centered Sales and Sport Data Analytics, and gain specialized sales training or learn to make data-driven decisions. Show employers that you’re the real deal. Apply what you learn in real-world scenarios through a professional internship, volunteer opportunities, and immersive capstone projects. Your bachelor’s degree in sport business management proves you can go the distance. It can also position you for a new goal: earning your master’s degree. Get a head start with Early Access. Maryville’s Early Access program allows you to earn up to 12 credits toward your master’s degree. We only require that you be a current Maryville undergraduate student, you’ve completed 90 credit hours or more, and you hold a GPA of 3.25 or better. Contact your academic advisor to find out if you’re eligible for Early Access. What’s next for your education? Master’s in Business Administration: Choose from nine concentrations, including project management, information technology, and marketing. Master’s in Business Data Analytics: Finish in just 30 semester hours and apply with no GMAT, GRE, or application fee required. Master’s in Management and Leadership: Personalize your coursework to align with your career goals and passion for the business of sports. Master’s in Data Science: Complete a multidisciplinary program designed to blend computer skills and mathematics for practical application in sport finance. Not eligible for Early Access. 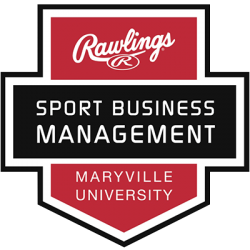 Learn more about the Rawlings Sport Business Management online degree program at Maryville University.